The San Francisco Nonprofit Technology Center is celebrating our ten year anniversary with a party at the Tech Center on August 4 at 5pm, and you're invited! Come share a drink and a snack with fellow nonprofit techies, staff, and activists. Next Wednesday (December 16th) we want to celebrate the holidays at our home in the S.F. Mission District. We would love to see you there! Come socialize with all the members of the San Francisco Nonprofit Technology Center: Aspiration, the Ruckus Society, Freedom of the Press Foundation, and Simply Secure. Drinks, food, and lively conversation will be waiting for you! Our 12th annual Nonprofit Software Development Summit took place on November 18th - 20th, 2015 at Preservation Park in Oakland, California. 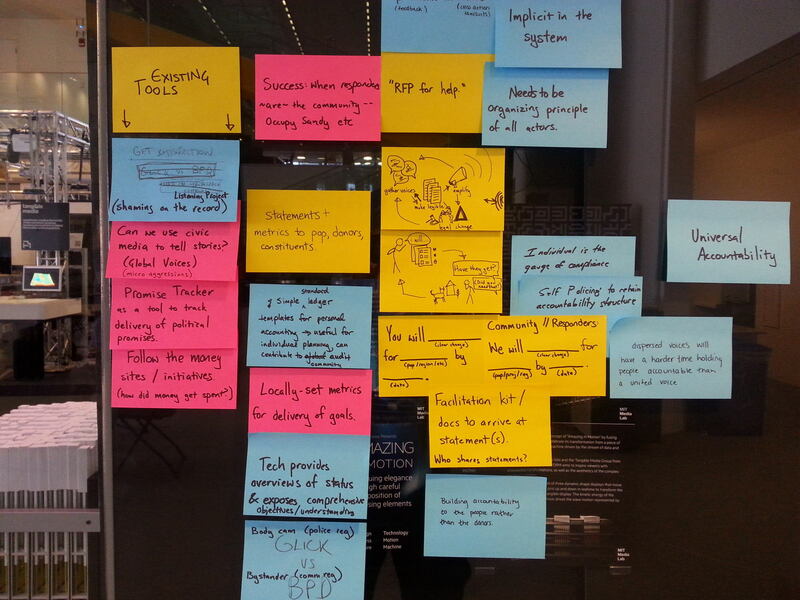 Our Humanitarian Technology Festival took place on May 9 and 10, 2015 at the MIT Media Lab in Cambridge, MA. This two-day gathering brought people together who are passionate about leveraging technology and media for humanitarian aid and disaster response. The event was designed to support dialogue for field practitioners, media makers and storytellers, technology developers, information security practitioners, and everyone in between. Invitamos a todas las organizaciones no lucrativas en el área de Los Angeles para que nos acompañen Viernes, 8 de mayo a una serie de talleres tecnológicos en Español. En conjunto con el Instituto de Educacion Popular del Sur de California (IDEPSCA), estos talleres serán gratuitos para apoyar el intercambio de aprendizaje y conocimiento sobre como usar herramientas tecnológicas para los esfuerzos de justicia social.